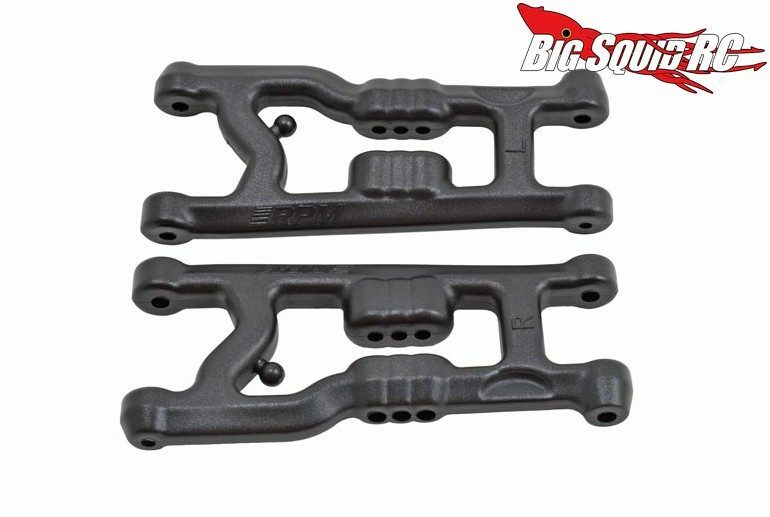 RPM Flat Front Arms For The Associated B6 & B6D « Big Squid RC – RC Car and Truck News, Reviews, Videos, and More! Are you tired of breaking arms on your Associated B6 or B6D? If so, the RPM crew is here to save the day. New from RPM are Flat Front Arms for the B6 and B6D buggies. The RPM arms are not only engineered for increased durability, but also come molded in their legendary plastic which is known for toughness. Pricing for the RPM arms is just $12, their part number is #81372, and full details await you After The Jump over to RPM’s website. Can’t get enough RPM news? Find more On BigSquidRC.